Authorities in Mexico have arrested a woman who is accused of heading a cartel hit squad. The group is reportedly responsible for much of the violence in the Mexican resort area of Baja California. 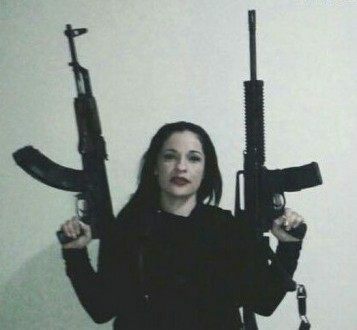 Margarita “La China” Calderon Ojeda is said to have headed her own cartel strike team after breaking away from the Sinaloa Federation linked Damaso Group. The arrest took place Saturday afternoon near the airport in Cabo San Lucas, Mexico’s Proceso Magazine reported. The Damaso organization is a group of drug traffickers that is believed to be part of the Sinaloa Federation and is responsible for the ongoing violence in the Baja California area. While details of the arrest have not been released, Calderon Ojeda was caught along with some of her hitmen. The 30-year-old woman is blamed for the outbreak of violence in that resort area after she had a falling out with the leadership of the Damaso organization for which she was one of the top enforcers. The alleged female hitman is believed to be responsible for over 180 violent incidents in the resort area which include murder, shootings and so forth. She is directly blamed for nine murders tied to a struggle that her new group is carrying out with the gangs known as Los Pepillos and Los Mayitos. The Damaso organization is the group that was started by Damaso “El Lic” Lopez Nunez, a former Mexican official who is believed to have helped Sinaloa’s leader Joaquin “El Chapo “ Guzman escape from prison the first time. The Damaso group appears to now be led by his son Damaso “El Mini Lic” Lopez. Calderon Ojeda became famous in recent years when she was the topic of regional Mexican song that became a mainstream hit in Mexico. The song “En La sierra Y La Ciudad” praises the narco lifestyle and talks about an attractive woman with high-level connections that arrived to a meeting in an SUV. For some time the nickname used by Calderon Ojeda was also used to by many to refer to Claudia Ochoa Felix, another woman linked to the Sinaloa Cartel who gained social media fame for posting sultry photos where she showed off weapons and luxury vehicles.